The coloring is a fun activity which all of us tend to get involved in to get rid of monotony and boredom at all ages. Coloring becomes all the more interesting when we deal with nature and images related to the same. Bird coloring pages offer such excellent opportunity for all people who are interested in coloring. Coloring images of birds helps us get rid of stress. Flying bird coloring pages can be colored by kids easily.You may also see Coloring Pages For Adults. 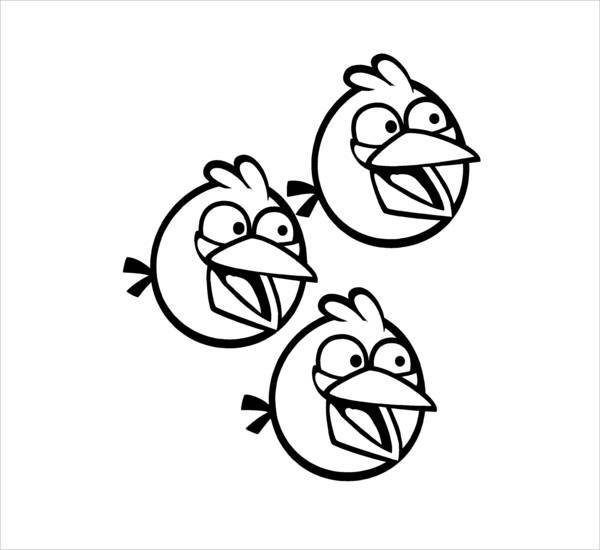 Angry Birds Coloring Page displays the happy face of angry birds Jay, Jake, and Jim. This coloring page is very simple and can be colored easily by small kids. You may also see Owl Coloring Pages. 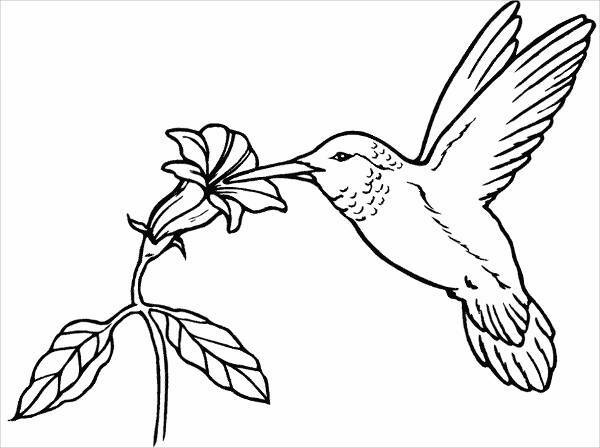 Hummingbird Coloring Page shows a Hummingbird in air sucking the nectar from a flower. This simple design can be colored and printed by the children as well as younger kids.You may also see Hello Kitty Coloring Pages. 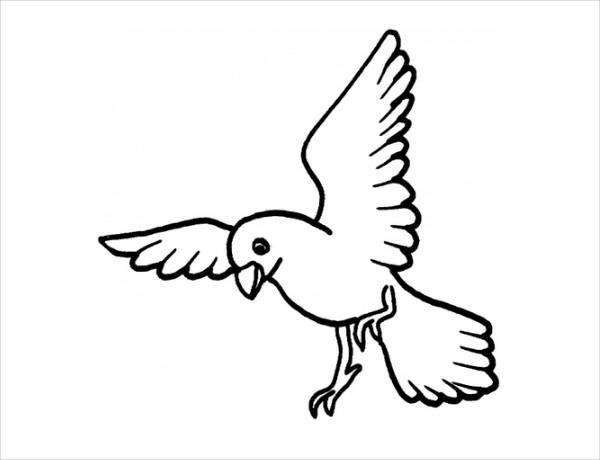 Flying Bird Coloring Page displays a single bird in flight. It has been designed in a simple manner to help children color the same with a lot of easiness. 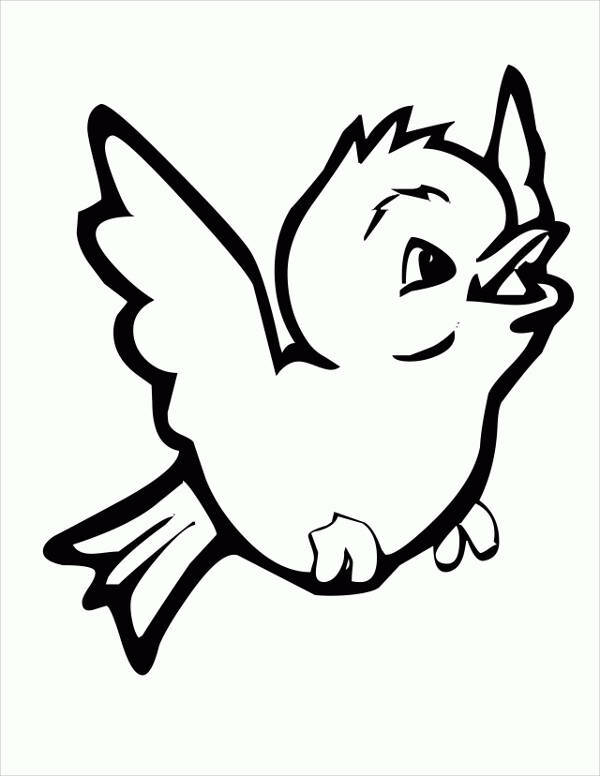 Baby Bird Coloring Page shows a cute little baby bird in all its jubilance and happiness. 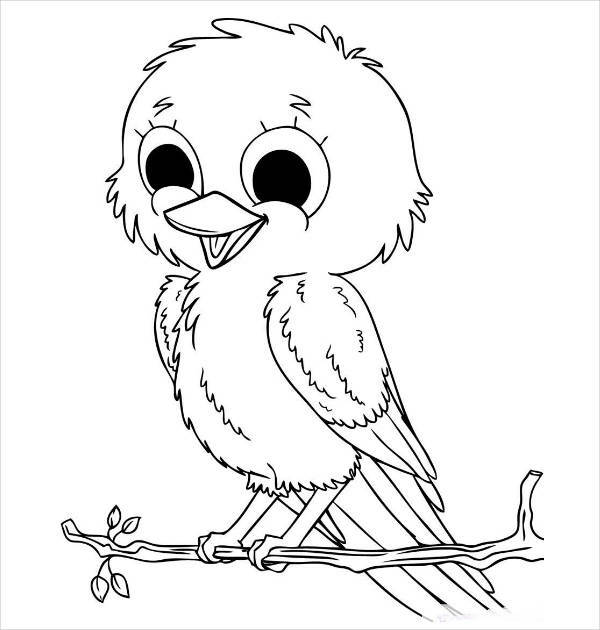 This Baby Bird coloring page can be colored by kids in a fun-filled manner. 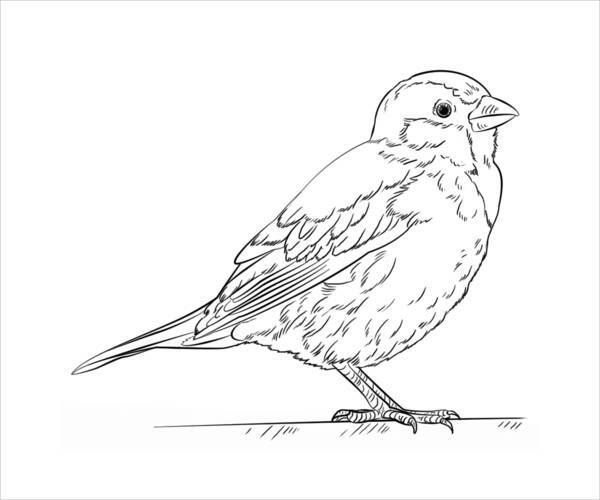 Realistic Bird Coloring Page displays a lonely bird in a seated position. This coloring page has been designed in a simple manner to encourage children to color the same easily. 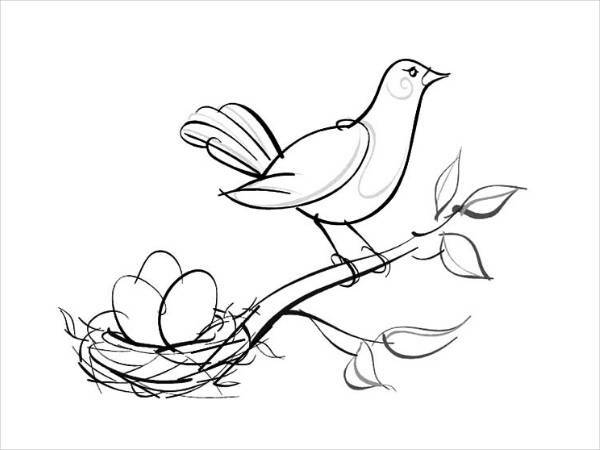 Bird Nest Coloring Page brings forth a smiling bird sitting on his nest with an egg by his side. Coloring this page will be an interesting task for kids of all age groups. 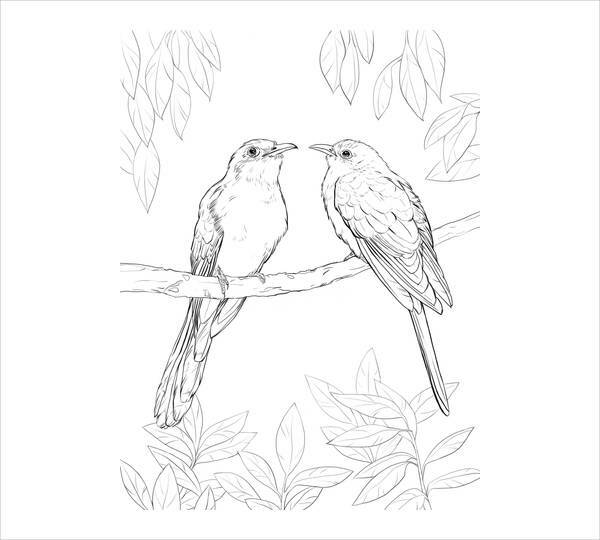 Printable Bird Coloring Page shows two love birds sitting on a branch covered all around by leaves. 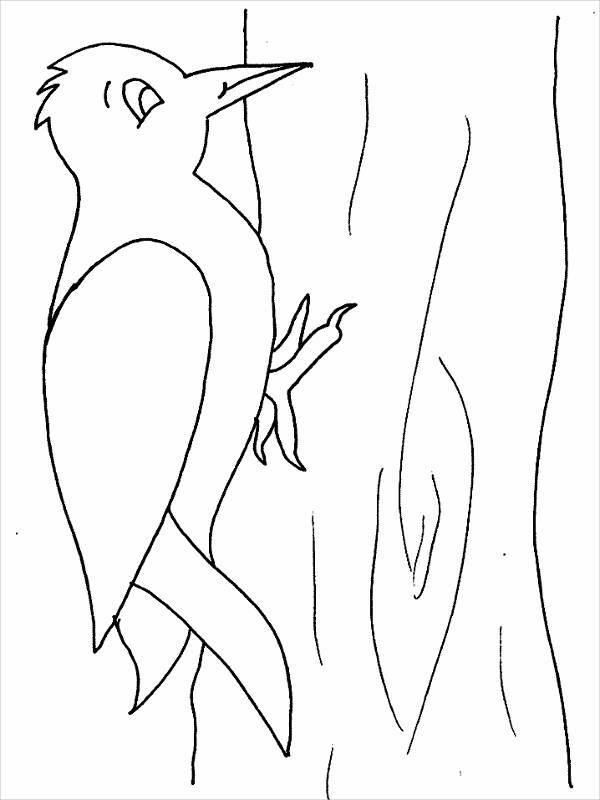 This coloring page is printable by the children for their repeated use. 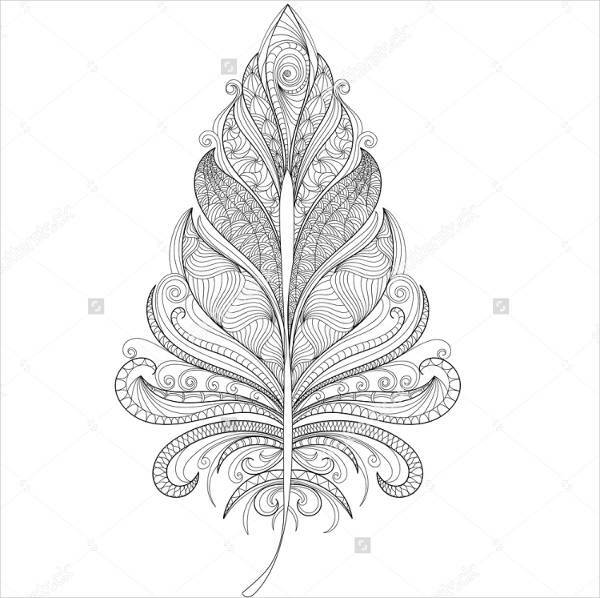 Bird Feather Coloring Page displays an intricately designed feather in all its magnificence. This coloring page is specifically designed for adults to color and can be tough for children to color the same. 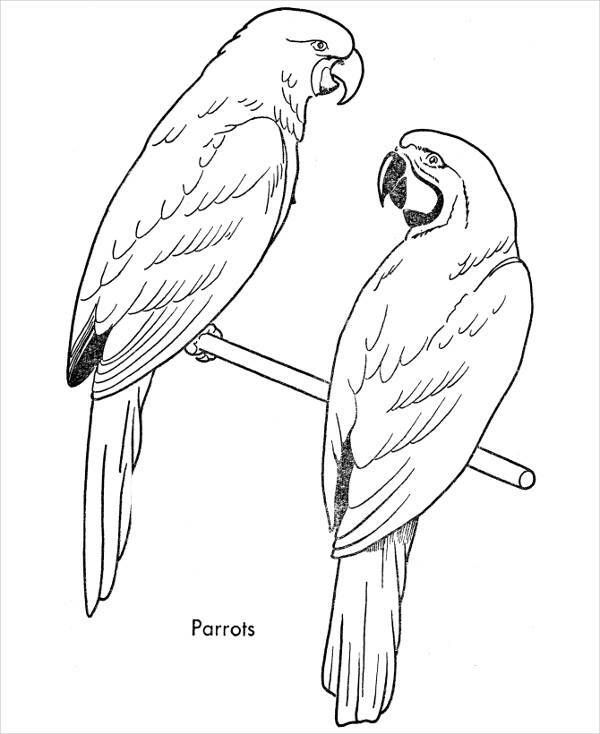 Parrot Coloring Page exhibits a lonely parrot in a sitting posture. 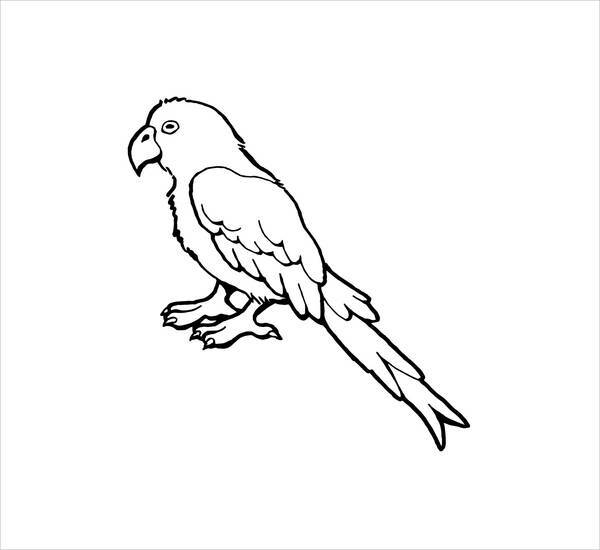 This parrot coloring page can be easily colored by children of young ages without any difficulty or hassles. 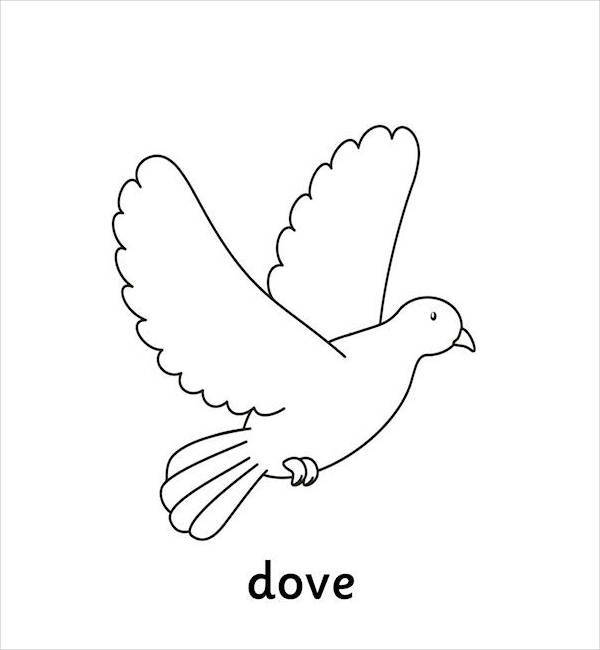 Dove Bird Coloring Page displays a Dove in flying motion with the word ‘Dove’ written underneath. Children will find it highly interesting to color this page with ease. 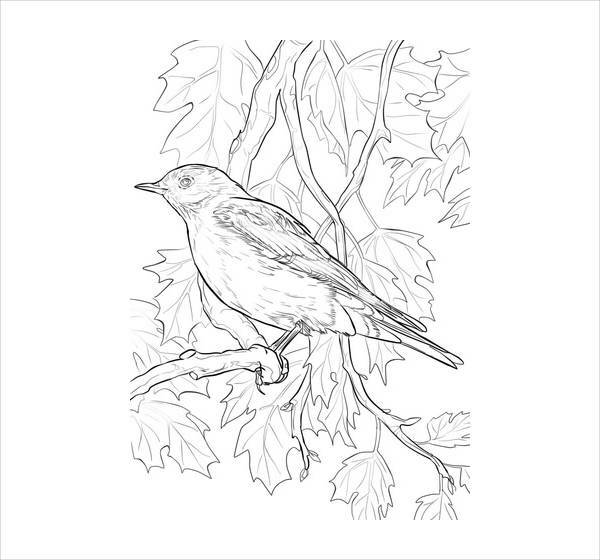 Bluebird Coloring Page is an elegantly designed coloring page that displays a lonely mountain bird sitting on the branch of a tree. This coloring page can be colored by adults easily. 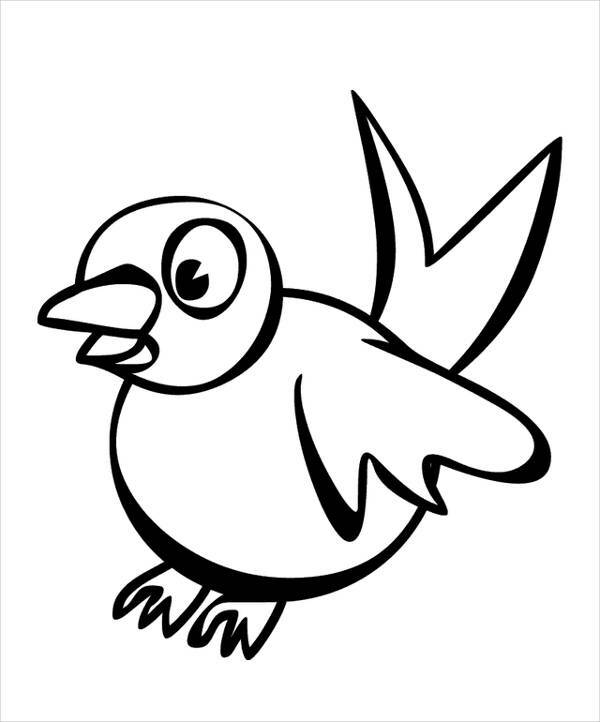 Woodpecker Bird Coloring Page is designed in a highly simple manner for kids to color comfortably the same with high levels of motivation and ease. Kids will enjoy coloring this page. 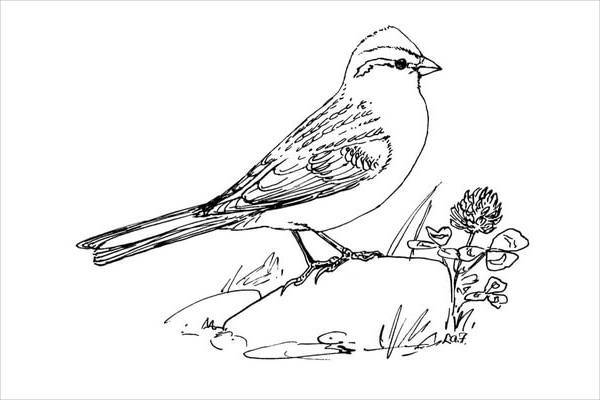 Chipping Sparrow Coloring Page elegantly displays a lonely sparrow sitting on a rock. This coloring page can be easily colored by children of all ages. Printable Bird Coloring Page is a page that displays a beautiful sparrow sitting on a tree branch all alone. This coloring page can be colored by kids online as well as by printing the same. 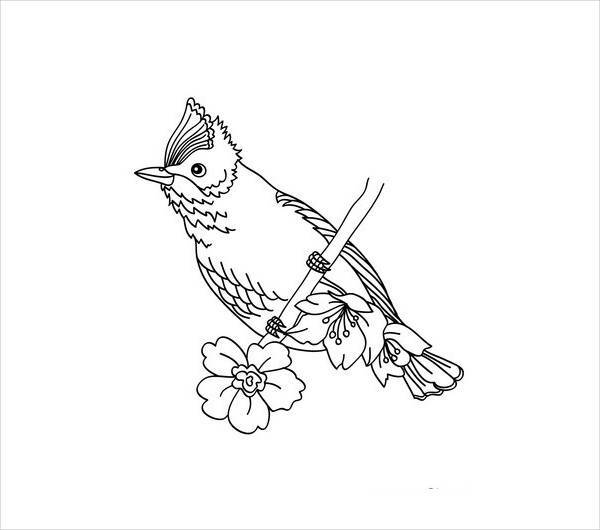 How to use these “Bird Coloring Pages”? 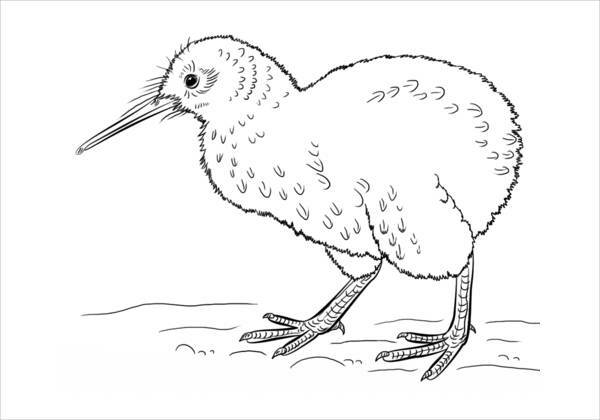 Bird Coloring Pages can be used for coloring purposes by children as well as adults based on the difficulty of the images captured in the same. These pages can be printed as many times a user wants them to be printed for free of cost. 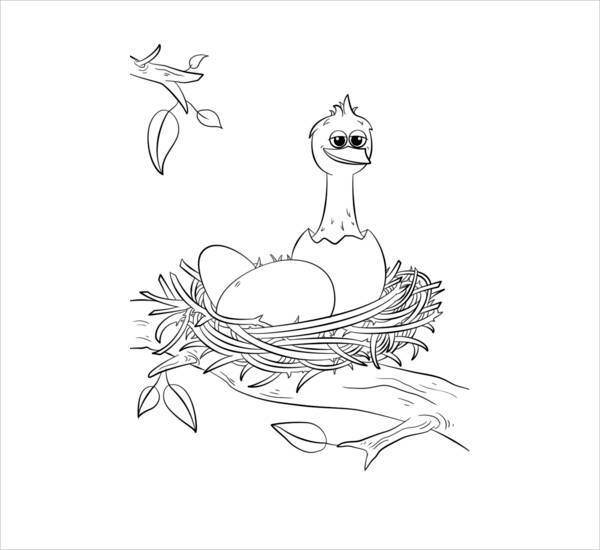 Bird coloring pages can be given to children to be colored during their free time particularly during holidays when they gather together for spending time with each other. Bird coloring pages have been created in a simple manner to motivate children to color the page easily. These pages can be printed and given to other children as gifts during Kids day and birthday celebrations.You may also see Disney Coloring Pages. Bird coloring pages are available in innumerable styles displaying various images of different kinds of birds. This will make the coloring activity interesting for the kids who will not feel the monotony of coloring same kind of pages again and again. 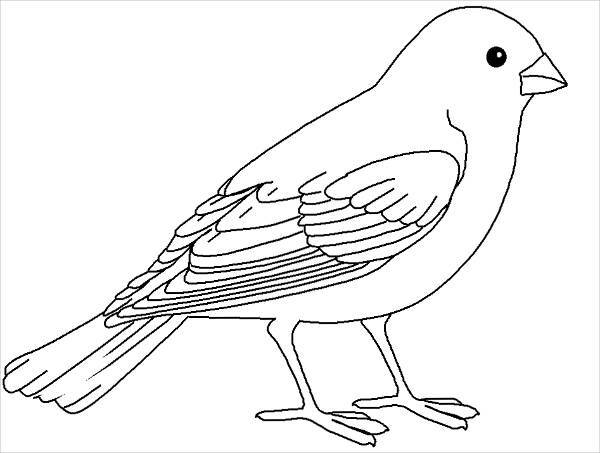 Bird coloring pages are available for adults also.